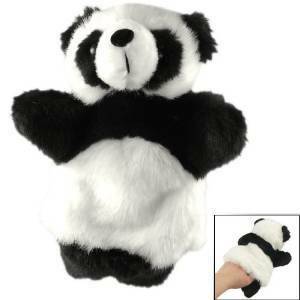 Kids Panda Hand Puppet Only $3.96 Shipped! You are here: Home / Great Deals / Amazon Deals / Kids Panda Hand Puppet Only $3.96 Shipped! Head over to Amazon and get this Kids Panda Hand Puppet for only $3.96! And, shipping is FREE! This panda hand puppet is helpful encourage children’s imagination, independence and creativity ability. It is easier for children play and create. It can help children’s communication skill and develope their power of improvisation.